Make melody because the time has come for you to flex whatsapp application on your PC or Mac computer. And this time it runs without the use of bluestack or any sort of third party application being involved. 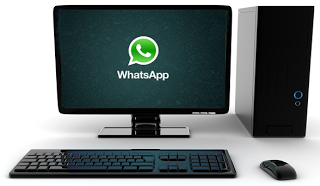 Before now, you can attest to it that for you to run whatsapp application on your PC, you either depend on bluestack for the Android version to run on your laptop or by using the whatsapp web which works on chrome with the aid of Plugin. Where Can I Download The Latest WhatsApp For MY PC? ==>Now install after downloading and run. ==>Time to scan the QR code, just scan by using the whatsapp on your Android device, that's it. Now flex it how you want. Now, you can chat using your mobile device and as well your pc. So when it calls for using whatsapp on your PC there will be no obstruction. Same also applicable to your mobile whatsapp. Enjoy the free world with your whatsapp as Techbmc World tends to serve you better always.